Bill Cosby was once the funny, comedian that gave America their laughs. Who knew years later after the Bill Cosby Show that he would be facing 10 years in prison and deemed a "sexually violent predator." 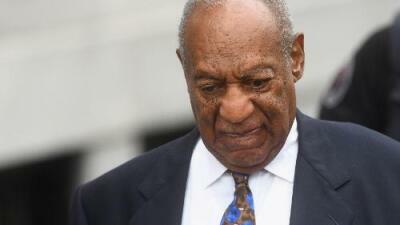 The decision came after a defense expert telling the jury that Cosby was not a danger to the community. It was when Dr. Kristen Dudley who is a member of the Pennsylvania Sexual Offenders Assessment board that designated the 81-year-old a "predator." This means that Cosby will spend the rest of his life in periodic counseling and getting treatment. In addition, he will have to check into the state police to notify them of his whereabouts, his address, offenses and a photo. He will have to get any travel approved and have a quarterly check-in. The District Attorney of Montgomery County, Kevin Steele said "You understand that you will be required to register with the Pennsylvania state police for the remainder of your lifetime?" Cosby swiftly replied "Yes" after asking Steele to speak up. Steele asked Cosby another question: "Do you understand that if you fail to comply with the lifetime registration requirement, it will be a felony in the first degree or a felony in the second degree?" Cosby replied with a "Yes." On Tuesday (September 25, 2018) Cosby will learn whether he'll be locked up behind bars for the 2004 sexual assault of Andrea Constand and the 60 women he had drugged and molested. The sentencing judge doesn't have to stick to the guidelines as he can issue a smaller or larger sentence with a maximum of 10 years.